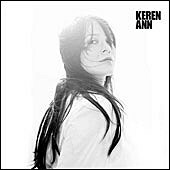 Keren Ann is da bomb – I always get excited when she announces dates. This time the excitement is compounded by the fact that she’s teaming up with ex-Luna in the form of Dean & Britta for a tour that includes two NYC dates. Tickets go on sale Friday at noon for a show on February 29th at Bowery Ballroom, and one the next day at Music Hall of Williamsburg. Tickets are also on sale for the Dean & Britta’s New Years show at Maxwell’s. In related news, Dean & Britta teamed up with Sonic Boom to record some Christmas songs. More details at Chimney Rocks Records. The Sound of Musique has an MP3 of Keren covering “Hallelujah”. More tour dates below….